Axis Bank became the latest Indian bank to tap social media banking with ‘Ping Pay’, a P2P payment service enabling their banking customers to send money to their friends via WhatsApp. 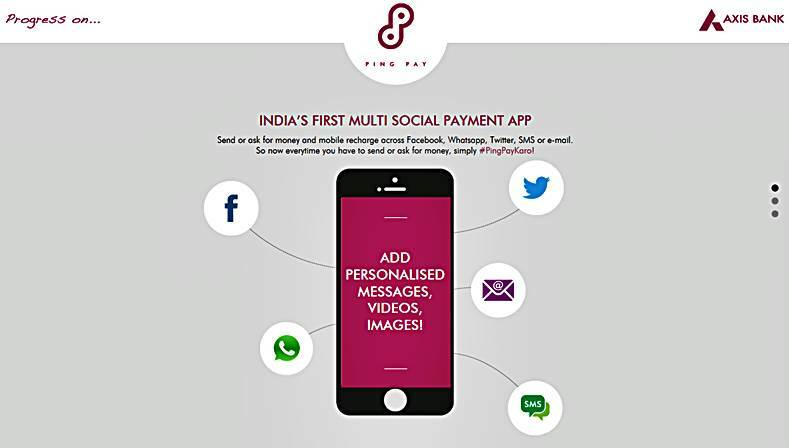 Axis Bank announced the upcoming launch of the ‘Ping Pay‘ app, a self-proclaimed ‘first multi social payment in India’ embracing the social media banking popularity in India. Axis Bank’s customers can send or ask for money and mobile recharge across Facebook, Whatsapp, Twitter, SMS or e-mail. Your bank account information will not be compromised in any way. Ping Pay will never post your account related information on any of the public forums/walls of the social media platforms connected with the app. Multiple login to the Ping Pay app from different mobile handsets is not allowed. You can use the application on only one device for one mobile number. While sending money, you will receive an auto-generated sender code which you need to share with the receiver. S/he will need to enter the same for receiving the money. Daily Transaction Limit – All of your financial transactions have respective daily limits. For sending money (Axis Bank customers only) – you will have to authenticate and link your bank account using your Axis Bank Debit Card or Internet Banking credentials. 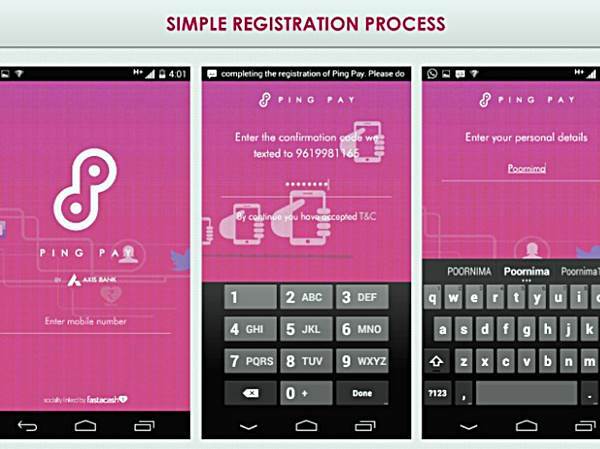 Now, we can also add Whatsapp to the list, compliment of the Axis Bank ‘Ping Pay’ app for Android and iOS.